Annapolis St. Patrick's Day Parade. Home › Latest News › Annapolis St. Patrick's Day Parade. 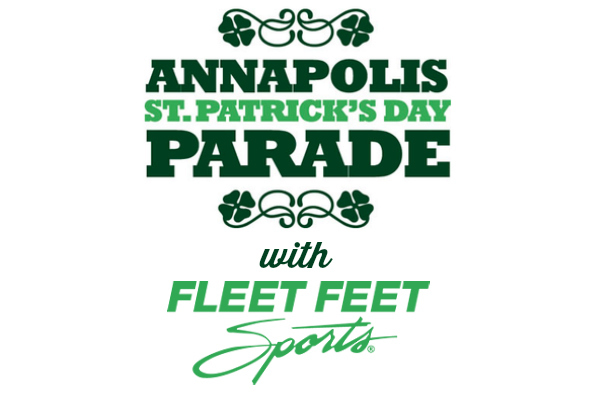 Join us as Fleet Feet Sports leads the Annapolis St. Patrick's Day Parade on March 6th at 1pm. The First Float of the Annapolis St. Patrick's Parade will be a Fun Trot Down West and Main Street. Dress in costume for a chance to win a special Fleet Feet Annapolis swag bag. This is not a walk. Register to be part of the excitement.